ELEAGUE (pronounced as E League) is a professional eSports league that is being launched by Turner Broadcasting on May of 2016. The league will feature 24 teams from across the world that compete in two 10-week seasons annually. Each season will include a regular season, playoffs, and a championship. The first match is set to debut on May 24, 2016 and will offer $1,200,000 USD in prize money each season. At launch the league will focus on the PC video game Counter-Strike: Global Offensive. Global Offensive is an objective-based multiplayer first-person shooter where each team attempts to complete objectives or eliminate the enemy team. So why is it important that this E League is being launched by Turner Broadcasting? Turner Broadcasting is the parent company to many well known television channels like CNN, TBS, TNT, and Cartoon Network. Turner will be airing the matches on Friday nights on TBS. This is a huge step forward for eSports since it is one of the first times a video game competition has been featured on national television. The matches will also be simultaneously available on online streaming services. The matches will take place at Turner studios in Atlanta, Georgia. Another important milestone for eSports being established by E League is their well-defined “season”. eSports for a long time was fragmented due to its lack of structure. 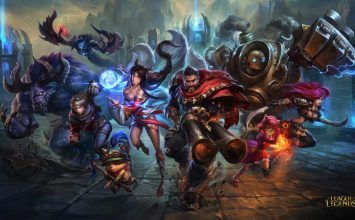 The lack of a season or predictability has historically made it hard for eSports to transition to a mainstream audience. This defined season with a predictable playoffs and championship coupled with the national broadcasts is a huge spark for the eSports industry. You can learn more about E-League on their site.